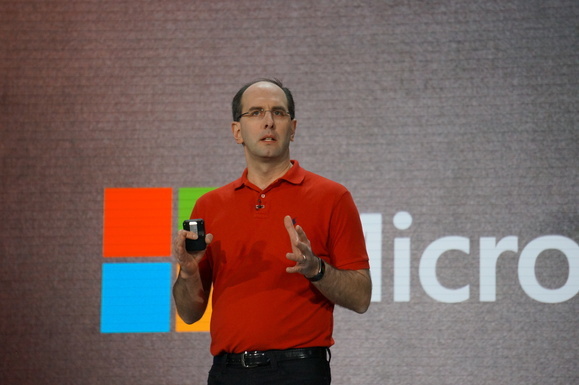 All told, these announcements are aimed at making it easier for companies with on-premises data centers to connect those environments with Microsoft's public cloud and gain benefits from that. It's one of the things that helps differentiate Microsoft from its competitors in the cloud market, especially Amazon and Google. As part of today's launch of Windows Server 2016, Microsoft announced that customers of its server software will get the commercially supported package of Docker Engine at no additional cost. It's a boost for companies that are trying to take advantage of containerization technology to improve their development workflow. That adoption will still take some time -- Azure Stack isn't slated for availability until next year, and it will be available only through a handful of integrated systems sold by Microsoft partners.